Here’s another post where a reader is asking for your suggestions on how to handle a financial issue. The question I have is about pension options. I have a corporate (Fortune 50 company) pension fully funded. I need to decide how I want to take payment once I do retire. Cash out upfront is $1M, payment for life for me is $60k/yr (I’m 56), payment for both myself and my wife (she is 59) is $57k/yr. 2) If you propose taking lump sum and rolling into IRA, what do you propose investing it in? 3) If you propose taking pension in one of the life payment options, where do you invest the other 401k funds? I would take the joint life annuity at $57k/annum. It gives absolute confidence that you and your wife will avoid outliving your money. And it is a 5.7% return on initial investment (simplistic but I think a valid way of considering the issue). With a guaranteed income, your remaining assets can be invested aggressively for growth and additional income without any fear of having to sell during a downturn. Given that you have $1.4 million in your 401k, $175k in stocks outside your pension, $250k in cash and $300k in metals (I assume precious!) I would consider structuring all remaining investments using the Permanent Portfolio concept. 25% each allocation to stocks, cash, US long term treasuries and gold ought to provide a real return of 4/5% without any great drawdowns. $531,250 of the 401k invested in a long term US Treasury ETF/index fund such as TLT. $356,250 of the 401k invested in a long US equities fund such as VTSAX. $231,250 of the 401k invested in a Gold ETF such as GLD. $281,250 of the 401k in a money market fund, or simply held as cash. All other investments can remain as they are. The portfolio is all-weather and requires virtually no monitoring. It is rebalanced annually or semi-annually. The gold element of the fund is rebalanced by buying or selling the GLD, not the physical metal. Cash is withdrawn from the 401k or the non-pension cash holding in the most tax efficient manner. Take a starting income yield from the portfolio of 3.5%, drawn on rebalancing days or paid monthly from the cash portion. This will give you and your wife an income of ($57,000+ $74,375) = just over $131,000 p.a. Then go and enjoy a happy life, never having to think about money or investment decisions ever again. You should look up loss aversion bias. Your suggestion absolutely does not provide a 5.7% return. Why would I look up a concept I am already familiar with? Loss aversion is an inescapable psychological bias affecting all of us, including GCS. If he takes the joint lives annuity and eliminates longevity risk, he will sleep well. Given that he holds $250k in cash and $300k PM, he obviously already had many of the ideological views that would make a Permanent Portfolio approach palatable for him. Monte Carlo simulations for the PP concept show that, if applied rigorously, it compares well to a traditional 60/40 portfolio, with higher returns and lower SD. With respect, I think your ‘present value’ approach set out later in this thread indicates that you have wholly failed to appreciate that the issue at hand is advising a human being about what to do with his retirement savings. I am always a big fan of controlling my money, so I would take it out. That gives you total control in case the pension fund has issues in the future. The other thing that this does is if you were to die in the near future then the $1m is in your estate, if it is in the pension the payments may just stop. On the investment side I would look at good long term mutual funds with low fees. Good 10% return over the last 10 years. Very interesting Q! Great job building all of these assets too! One relatively important variable missing from the above write up is your current annual spending, how you feel about your lifestyle at that spend rate, and if that will predictable change after a certain event (e.g. kids finish college). Without the caveat of not having that info and assuming good health, I would take the joint pension. My reasoning is that at 4% rule, the $1M can reliably produce $40k/yr, so if you intend to exhaust your assets (don’t leave behind any money) and you live for a while, the math works in your favor and you’ll have more stress free spending each year. My only reservation is how is the pension taxed? And if it is ordinary, will the cash you have last you long enough to build a Roth IRA ladder? (Essentially another question about your annual spend). My first question would be, what happens to the pension if you die? if he takes the $57k, upon his death, his wife continues to receive the pension upon his death for the remainder of her life. Hey – a few questions of clarity. – When do the lump sum or pension payments come into force? When you are age 65, or age 60, or immediately? – The difference between the $60k anf $57k is that the $57k has a contingent spouse pension on your death – have I understood right? – What is your health like? Are you a smoker? Take the lump sum. You have control of the money. You have more investment options. Does the pension have a cost of living adjustment (cola)? 1. How much do you spend/yr? 2. When will you take ss and what will the benefit be? $1M cash out or $57-60k/yr is a great problem to have! I would take the lump sum, roll it into an IRA, and invest it an index or balanced fund that is appropriate for your risk tolerance. The reason I would do this is because it gives you options. If you take the pension, you no longer have an option of what to do with that money…it will generate taxable income for you for the rest of your life. If you take the lump sum, you can buy your own annuity if you so choose, or frankly do whatever you want with it. And, there are no tax consequences until you choose to do something. Additionally, the 5.7% return is only initially. As we experience inflation, your return [in terms of real purchasing power] decreases, and this is guaranteed. While there is no guarantee that an IRA investment will beat inflation, it is still a good bet. At the end of the day, you need to speak with a financial counselor (whether private or professional) who you trust and work out the specific details of your situation. Good luck! Andrew– thank you for the very detailed feedback. A strong arguement to go with the pension payments. CB24 asked annual spending amount and about expense like college- I’m in the process of gathering details on annual/monthly spent but, at a ligh level it is approx $80,000. We have 2 of 3 kids off the payroll with one a junior in college. Those remaining expenses are already put aside in an account and weren’t included. CD asked- what happens to pension if I die- if I take the joint option ($57k/yr), it continues if I die and pays until my spouse ties. If I took the single option ($60k/yr), it would stop when I die. Actuary on FIRE asked- when does lump sum or payments start? As soon as I separate from the company I work for. Yes, the $57k/yr payment cover the life of myself and spouse. Our health is outstanding. Non-smokers, good diet, consistent excercise, very active. RetireSoon asked when will we take SSI payments & how much ? I haven’t decided when yet or calculated amount. My wife will likely qualify on the Lowe end as she was a modest earner over the past 30 years. I have paid in at the maximum level for at least 15 years and have contributed for 40 years. LOL. I read one sentence like this. “Non-smokers, good diet, consistent exercise, very ATTRACTIVE.” and thought to myself, “Go you!” Then I re-read it, and it made more sense. Take the $1M, go to Vegas and make it rain! If you have the stomach to invest, I’d take the lump sum. $1M invested in VTSMX or some similar balanced fund will easily clear $57k a year ON AVERAGE. (Shouting because somebody will come back and say not every year) But you have to be able to stomach a few bad years without panicking. I prefer funds like VTSMX for this kind of thing because if that fund fails, essentially the Stock Market at large fails. As an example, giving that $1M a year ago into VTSMX, you’d have returned $198,877. That would have covered 3.49 years of $57k pension. I think most people would agree there is no real interest in the $60k single pension unless you expect your spouse to die in the next few weeks/months. Interesting situation in that most of us know 401k’s but pensions are a different animal. 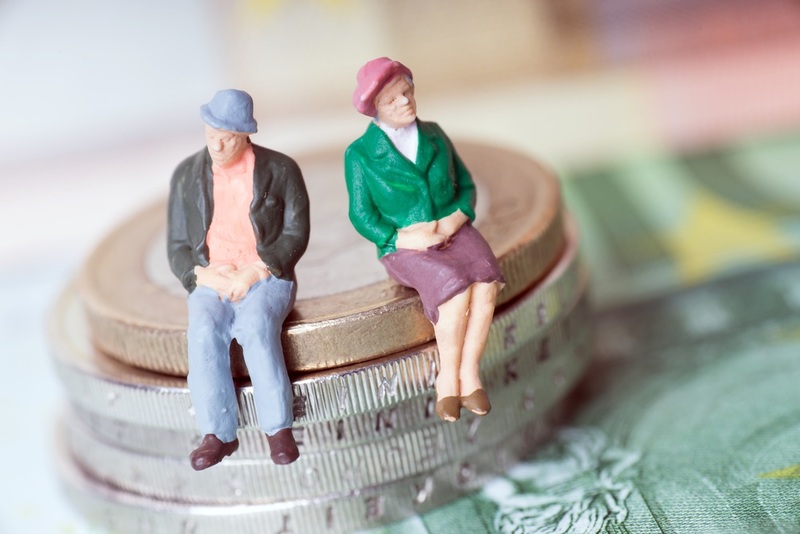 My wife has a pension but will not have the option of having a payout. 1. Since your pension is tied to a company it could be a factor of the health of the company. My father worked for GM and when they went bankrupt they sure changed all the rules for my dad. Who would have thought that the once almighty GM back in its days of the 60’s and 70’s would be what it is today. 2. What are your expense in relationship to the pension and what you have saved. Having moderate expenses and being a good money manager you could do better with the lump sum. However in my situation I will like the idea of a steady flow of income from my wife’s pension and mine has better control of what we will withdraw to live on. Plus my wife knows about the 401k but has not educated herself enough to know all the do’s and don’t. She definitely will need help and I know she would fall victim to a good smooth talking FP and taken advantage of. 3. Pension plans change, My dad has had his pension for 30 years and healthcare, co-pays and other things formerly covered are not. I suspect the same will happen with my wife’s pension. So do you know the history of past pensioners for your company? 4. What are the survivor benefits. If you were to die would she still get 100%. My wife’s pension has 100%,75% or 50%.we will soon need to decide which is best for us. 5. Pensions are insured by the Pension Guarantee Board. If your company goes bankrupt it will only pay out a percentage of what you would be getting from a company. All though it is a guarantee it is not what people are thinking if you took the money and bought an annuity. Good job managing you savings. I assume you worked at Altria whom recently offered the pension buyout. The first time in over 20 years. It may sound like a great opportunity, but I would strongly recommend for you keep your pension if you are in good health and reach life expectancy for males. If you are in poor health, take it. Beginning in January 2018 all companies need to accrue for pension liabilities using a new mortality table that should have been implemented 4 years ago, but got delayed due to corporate lobbying in congress. Basically the new table shows longevity about 10% higher versus the old table, which in turn means additional funding will be required. Altria will have incur a charge in the 4Q17 to account for the current buyout. If the payment were done in January 2018 it will have to be substantially higher. Altria is using 3 different discount rates for your pension and is based on corporate bonds (ie higher discount rate at 5%) versus the 30-year treasury bond at 2.8%….that’s a huge difference. That’s another big change which is unfortunately allowed. You will get a big haircut on present value of your pension using the higher discount rate. If you left Altria when you were 50-54, I assume you will be fully vested at age 60, so the 6% annual pension reduction is -30% max vs. -60% at age 65. Remember that for each year you don’t get your pension, you are GUARANTEED a 6% increase in the pension amount for life. That is huge. Wait until age 60 to collect your full pension. Same goes to delaying Social Security to age 70…. huge, guaranteed increase in benefits. Before deciding, you must Google and read the GAO (Government Accountability Office) Report in January 2015 on “Private Pension – Participants Need Better Information When Offered Lump Sum Replacing their Lifetime Benefits”. It has great information and questions to ask Altria Benefits department. Ask for answers from the Benefits department in writing. You seem have plenty of other investments, but I would get rid of the metals, and any commodities…. very volatile. Stick to dividend paying index funds, and have some money to play with individual stocks if you like. Keep the guarantee pension!! The Altria pension is well funded and again the company has the financial wherewithal to continue to fund it. It will be very reassuring to you to know that you will be able to receive a monthly check for the rest of your life and your wife too. Let Altria deal with the risk, funding and managing the pension return. Your pension is also mostly guaranteed by PBGC. You have plenty of investments….. you need guaranteed income, diversification and peace of mind that the Altria Pension will give you and your wife. Enjoy your retirement. Thank you Coopersmith. If I were to select the joint payment option ($57k/yr) it would pay 100% of this throughout both lives. If I die she continues to collect and visa versa. Normally, I would vote for the $1M cashout. However, you may want to consider what will provide you / your wife’s 80 year old selves with the most comfort / peace of mind. My father-in-law had a similar pension and he chose the payment option for him/his wife with the lower monthly pension payout. He passed away in 1998 after collecting the pension for approx. 12 years. My mother-in-law has been receiving the pension since 1998 – she is 86 now! I know that the regular monthly payment reduces the stress of her having to worry about her portfolio’s performance relative to her monthly needs – the pension + her SS covers her current monthly expenses. If the money is properly invested, the wife will have plenty of money in the years to come. Robert, thank you for the detail. No, I don’t work for Altria, I work for Wells Fargo. One thing to think about is if your wife is financially savvy. If you take the million out and put it in IRA for investments, would your wife be able to manage it if you die. However, if you take 57K/yr and you die, you will know that she will continue to receive 57k/yr and not worry about how to generate income by herself. She has a baseline of 57K/yr and all the investements you have done will make her more secure. You will be 83, your wife 88. Chance are high that one of you makes it into your 90’s. Think there are a couple more questions to be answered. Do you want to leave money for your heirs or use it all up in your lifetime? If you want to use it all up in your lifetime, then joint survivor pension is simple. If you want to leave that pension money for your heirs, then you need to take it out. If you keep it in the pension fund, it stops when you and your wife pass away. 1) haven’t nailed down a date yet. Like many in the corporate game, I’m in the highest income earning years by far so walking away is easier said than done. In addition, over 50% of my total compensation package comes annually in the form of bonus and stock. Thus, I have to consider timing carefully, but I also have to be careful not to get caught up in One More Year Syndrome. I’m leaning towards 12/18 as an end date. 2) this second question is a great one that I’m sure many couples debate. We have 3 children and our first grandchild on the way. Since the world has changed with regard to retirement benefits for young professionals, I would like to leave some for each of the 3 to build off of. I am posting because many who have already posted their ‘insights’ have failed to do any reasonable financial analysis. Find someone who can conduct a robust analysis before you make a decision. So far, many have only provided you their opinion. I am not providing you any advice. Below is a simple example of some Present Value math I did using my phone. Find someone who does this kind of analysis. This can become more accurate with more information- race, region, health, etc. It would make more sense to take $1mm today assuming you only live 25 more years and earn 6%. Said another way, you would only pay $728k today for 57k every year for the next 25 years at 6%. If you think you can earn an average of 10% per year, you would only pay $517k for the yearly annuity of $57k for 25 years. If you take $1mm today, earn 6% per year, and take zero dollars out, you are left with 4.3mm in 25 years. One should look at the entire portfolio sources. The piece of mind knowing that the annuity will be there for him and his wife is not measured in percentage points. The reader seems to have plenty of assets to diversity and the pension is another tool in the toolbox. Anyone thinking that he/she can get 6-10% annual returns for the next 30 years should go work on Wall Street. All it takes is a couple of years of bad returns in the beginning and he will wish to have taken the annuity. Your attempt to critize my basic analysis is lacking. Under what scenario would you want a 57k annuity for 30 years vs a 1mm lump sum? Show us you know how to even approach this problem. I never said he could earn any return. I picked random numbers hence the statement in prentices. The primary point of the numbers selected was to show the change in the value. May I suggest that you read the report from the GAO on Pensions and provide your thoughts. Each individual situation is unique and the reader should make an informed decision. Main problems with your math 1) you are quoting expected lifetime of individuals rather than the joint life expectancy, 2) your are completely ignoring longevity risk and assigning no value to the removal of longevity risk, 3) you don’t discount risk free cashflows at 10% or even 6%. Expanding on my second point, I wouldn’t tell someone to avoid buying car insurance because more often than not you don’t end up using it. Longevity risk is a very real risk and can have serious consequences on individuals and their families. There is value in reducing that risk. This calculator says median expectancy is 30 years and 30% chance at least one spouse makes it 34 years. So you really have zero problem with the math, you have a problem with the inputs selected- inputs that I said will need to be adjusted and were just for example. Adjust the math for longevity if you wish, but do this analysis instead of just picking one option over another. Yes, I don’t disagree with the mathematics of the present values you determined. The point though is that you can’t just apply one calculation and arrive at the right answer. The word “risk” can probably loosely translate to “uncertainty”. In order to do a present value calculation as you propose you have to pick a number which implies “certainty”. Perhaps you are just suggesting different scenarios or possible outcomes – which is a fair point. But you have to consider all possibilities in which case the answer will be “sometimes you are better off with X and sometimes you are better off with Y”. This doesn’t help answer the question. There is not one right answer. I can say I am fairly certain that the pension fund would prefer that all people choose the lump sum. Since there are two parties to the transaction you might consider your best option to be the opposite of the other party’s best option. But that would just be an average answer, and each person should consider their specific situation as you mentioned. One way to check the “fairness” of the lump sum option is to consider what would happen if you took the lump sum, then bought a payout annuity in the marketplace. Running a quote here suggests a $1M purchase payment would offer just under $49,000 per year in payments. The pension is offering 17% more than that. Ie. it would cost $1.17M in lump sum today to buy the same protection offered by the guaranteed option in the pension plan. I think your last point is very good- comparing the relative value. Totally worth considering in the analysis. I would speculate the pension is indifferent between the two options offered but I would need to know more about the company to be certain. Male life expectancy is 84 and rising. Female is 86 and riding. You are not taking into account longevity risk which is very real for the couple. For example, My mother-in-law is 90 and in very, very good health. Her sister died at 103!! Having the peace of mind that the annuity is there no matter what her mental condition is very reassuring. The individual has plenty of other investments. Keep the annuity. So your sample size of 2 is more relevant than age tables? Use whatever number of years (n) you want. As I said, it will be adjusted up or down depending on a number of factors. The point, which you, and others, seem to miss is how the analysis should be conducted. Unfortunately your analysis is based on zero data or analysis. You simply provide anecdotes and simple opinions. Again, the point is that the reader has PLENTY of money in other investments, and the annuity is a guaranteed payout for the rest of his life and his wife’s. The analysis should be conducted on his OVERALL investment portfolio and the risk he is willing to take with it. 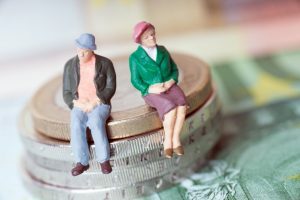 The annuity is a sound income to BALANCE his investments, in particular if he/his wife are in good health and have above normal longeity in their families. If in bad health, take the payout now. The key to sound investment return in DIVERSIFICATION and anuity will add to it. This diversification analysis is based on over 100 years of investment returns, and extensive case studies. You assume that his taking the payout will generate substantially higher returns at higher risk. He has plenty of investments at risk. Mic drop. Q: How will healthcare be covered after retirement? If you don’t have retiree health coverage (and even if you do, depending on the plan), healthcare before you get to 65 is a big wildcard right now. I am making the same decision right now (but much smaller amounts than you). Given your other assets, take the pension. It gives you peace of mind from market gyrations. You will have a guaranteed floor so you are not forced to withdraw when the market is down. Also, do some due diligence. Ask how much annuity payment you can get for the $1M and compare. My best advice is what I am going through right now myself and that is to interview firms with a specific focus on a holistic approach to retirement planning and portfolio management geared toward the transition from accumulation to preservation. You should broaden your focus beyond just addressing the lump sum vs. annuity issue and have someone take a comprehensive look at your present state and future goals and objectives. It is much too difficult to provide any real value to you without a thorough understanding of your situation and aims for the future. I’ve eschewed outside help all of my life and enjoyed managing my own portfolio but with retirement looming on the horizon, I now realize this area of money management is too important not to get some assistance from others who do this every day for a living and have a proven track record of success in this highly specialized area of wealth management. In my opinion the answer has as much to do with you as the money. Are you savvy enough not to mess with it come a bear market? Does any time if older age mental issues run in your family that could keep you from optimal investing? What about your wife? After you die can she invest like you? I’m helping my mother through this same question but with less other assets. Ultimately given her poor investment accumen the lump sum isn’t even a question. Everyone’s feedback has been very helpful. A broad range of important things to consider. One of the great things about this blog is there are so many really bright readers quick to provide their thoughts. I Retired Happy-.regarding your question on healthcare- when I retire I will qualify for a subsidized plan which will cost $1,100/mo for my wife and I.
I would say to take the annuity for you and your wife at $57K per year. The reason being is if you cash out $1M pre-tax (please correct me if I’m wrong) this will equate to $600K after tax. For your age the amount you’d have to put into an annuity to give you and your wife $57K per year would be north of $1.4M so it’s a better deal to take the annuity. You didn’t mention but what is the expected income generation from your other assets (not sure if any of the real estate are rentals, if you are receiving dividend income, etc). What are your current expenses in relation to income generation from your assets plus the pension option? SS will be a kicker later but it’s important to see how this looks in the years between then. They should be able to roll a lump sum into a self-directed IRA if they want to keep that money pre-tax. I just did one myself from a former employer. GCS, one other comment. You’ve got a very good deal for spousal continuation at 100% if it only drops from 60K/yr. for a single annuity to 57K/yr. for both of you. I have one that starts in November. My single annuity was 59K/yr. but 100% spousal continuation dropped it to 50K/yr. I also had another component that I could take as an additional annuity or a lump sum. I chose a lump sum since it was only paying 2.4% interest per year and rolled it into a self-directed IRA where I hope to invest it for a better average annual return and have full control of that portion of my money. Paper Tiger- did you take the single or spousal option, or did you have a lump sum option you took instead? If so, how much was the lump sum? Mike H- the real estate mentioned is $750k residence and $250k recreational property. Both paid for and a small amount of income on recreational property. GCS, I have a traditional pension and a voluntary pension. For my regular pension, I took the spousal option so I get 50K per year and then if I pass first, it continues at 50K per year for my wife. I did not have a lump sum option for my regular pension so I could only go the annuity route. On the voluntary pension, I took the lump sum at just over 150K. I rolled that into a self-directed IRA to keep it pre-tax. I will invest to try and get an average annual return of 6%. If successful, that will add another 9K per year or $750 per month to pension savings and also benefit from compounding interest as it grows. I felt this gave me the best of both worlds. My wife also worked for the same company but she is ~3.5 years younger than me so she will be eligible for these same options when she turns 60. I have a similar question except that I’m a single 57-year old female in good health. I’ve been a worker bee with my company and right now have just over $1M in 2 401k (Fidelity and Vanguard). I also have 2 vested pensions that if I let ride for another 3 years, an estimated lump-sum payout is close to $1M. My health care is taken care of if I retire tomorrow (I won’t have to bridge until Medicare at 65) and my current debts are a mortgage and a motorcycle payment. I bought a 2018 HD Heritage Classic. I was able to put a huge down on it and making payments fairly frequently so it’s off the debt list when I pull the retirement plug. Hi Kelz, nice job on your savings up to this point. It seems like you have a great start to address your needs in retirement. Much like my advice to GCS, it is hard to give you complete suggestions on limited info and given your question, it would probably be good for you to interview a few planners in your area. Since it appears you have Fidelity and Vanguard in your company 401K, I’m guessing they may offer free services to your company for employees to meet with them and get advice and direction. If that is available to you, it is probably a good starting point. Your HR Manager should be able to guide you with this. A lot depends on how much debt you carry into retirement and what your projected budget and spending are in retirement. Since you will have 2M in retirement accounts, at a 4% annual withdrawal rate, that would give you ~80K/yr. by itself, not counting anything for SS or investments you may have outside of your retirement accounts. If you plan to be debt free before quitting work, then take 80K + your projected SS and any other investment interest/dividends and add those together and compare that to your projected monthly/annual spending in retirement. If retirement income exceeds projected spending then you should be in pretty good shape. If there is a gap, you could consider a fixed index annuity to help fill that gap. Healthcare is something to pay close attention to and it may be wise to get some quotes for long-term care insurance particularly since you are single. You don’t want healthcare costs to wreck your retirement because of an unexpected illness that requires care and expense outside of what your current plan will cover. Many of the new Fixed Index Annuities I mentioned also have some long-term care benefits so that may help kill two birds with one stone. Annuities can be tricky in terms of costs, coverage, and terms so you need to speak with someone knowledgeable and trustworthy in this area. Again, these are just high-level thoughts and someone should take a detailed look at your situation in order to give you a better outlook that is tailored to all your needs. Thanks, Paper Tiger. Yes, I plan on having at least the bike paid off prior to retirement and only the mortgage remaining. There are some options with that depending on what I decide to do with the pensions. Regarding healthcare, I should be good with routine and acute care but I’m not at all sure about long-term care. Thanks for the idea so I’ll be consulting my HR department to get the skinny about what I can do. Ideally, I want most of the “must haves” plans (health care, finances, debt, etc.) taken care of prior to retiring. Start asking friends if they are using FAs and get referrals. There are 2 semi related questions asked by the post: 1. Accept a lump sum or an annuity; and 2. How the new funds should be invested. Many seem to be merging to two issues and this is wrong. Others are simply providing anecdotes and baseless opinions. This is 100% a present value mathematical issue. There should be absolutely zero debate on this issue. Anyone claiming it is more that a present value analysis is just wrong. The company has done their analysis so they are indifferent between the annuity and lump sum options at a company wide level. How did they do this analysis? They created a PV model. If I had to guess, they used the WACC or a long term corporate bond interest rate for this analysis. If GCS expects to live longer/shorter or expects to earn a higher/lower return, one option becomes more appealing to GCS. I cannot answer these questions for GCS. No one on this blog posting their opinion is able to provide the answer to these inputs for GCS. Anyone attempting to do so is just wrong. GCS- figure out how long you expect to live and what rate you reasonably expect to earn over that period. Everyone has a opinion here. (Opinions are like… everyone has one.) I have provided zero response to this issue and I will not provide any response to this issue. It is irresponsible and against many codes of conduct to do this without first gaining reasonable insight to individual suitability. This information is somewhat relevant for the expected rate of return for solving the answer to Part I. That does not mean the answer to part I is filled with qualitative information. If you disagree with me, go ask a finance professor, CFO, CFA, MA in Finance, or someone who actually knows how to address these questions. Our situation is surprisingly similar to the questioner’s: built-in “multiple streams of income” where any two might come close to covering expenses. I have a personal aversion to annuities/pensions because (1) inflation is roughly one/half the risk for outliving portfolio and (3) so many changes in businesses and pensions over the years, I would not trust to tie up a big chunk in any one. (3) You know the money leaves your estate when you leave the planet. Someone above recommended a Vanguard index fund that I believe we also own. I like that. More-conservative people might put 50% or more in a Vanguard bond index fund. You have more than enough wiggle room to do that, if “risk of capital” greatly outweighs your fears of “inflation risk.” My personal sense is that, with all the other assets (yours, like ours), the need to draw on stock during a down market is relatively slight. It’s a strange thing, to work and save your whole life, and then to reach the Third Third, where you get to look at things in such different ways. Myself, I aimed to build each “pile” to be large-enough to support us. Of our several, we can get by on less than the flow or withdrawal rate from any TWO (though not quite any ONE, depending on market conditions and property repairs). I don’t know that I will post this self-exposing description. But I’m grateful for the opportunity to put it down on the page, and am glad to know that other people have managed to do reasonably well, in a life lived not entirely on the future, not wholly in the present, and not at the mercy of forces of excessive consumerism. Really? You think SS is going to be viable in 15 years? Dos- your comment about zero net value of an annuity when you die is one of the things I’m struggling with. Not only there is zero value at that point, but the minute you elect to take the payment (annuity) option you forfeit any prospect of growing or building upon that asset. I understand the flip side is that you eliminate the risk of losing some/all of it in some other investment vehicle, but the risk and uncertainty of inflation acts as a loss to future value. Inflation is certainly a risk. Some pensions offer inflation adjusted payouts but the starting payment would be significantly lower. As far as no value when you die – my opinion is who cares? – you are dead. You don’t need money if you are dead. Leaving a legacy can be important to some. In this case if they die young they will still be leaving behind substantial wealth for the kids. And if they live long the benefits of the payout will come into play. Another thing to consider is mortality credits. There is no investment other than guaranteed pensions/annuities that offer access to mortality credits. There are obviously a lot of opinions about whether to take a lump sum or a guaranteed payment. Each comment provides a different perspective and the decision probably comes down to personal preference. A POSSIBLE SIMILARITY BETWEEN US: As a determinedly self-responsible person, I do also find it tempting to think in terms “eliminate the risk of losing it some/all.” Wouldn’t it be great just to hand the reins over to someone else for once? But that point/temptation always raises my hackles: someone you don’t know and can’t control, in terms of competence or ethics, has you in a “Trust me” deal. John Bogle put his money where his mouth is, through Vanguard, and the whole industry has been turned around. As long as you won’t need to draw down, or deplete, stock investments, you can’t go wrong investing long-term in companies that will continue to make profits and grow. Index funds are easy/spectacular for that. Warren Buffett puts his money where his mouth is, and I can’t imagine a more-trustworthy intellect/ethics mix. (Do you read his annual shareholder letter for Berkshire Hathaway? It’s available online, and shows me exactly what an investment pool should look like.) Berkshire Hathaway is effectively a low-cost mutual fund. The CEO takes zero percentage off the top. Hard to do better than that. The uncertainty—your uncertainty—is really what you’re asking about. And you’re likely not someone to take anyone else’s answer out-of-hand for that. You have done well for yourself and family. You have real investments. You have piles of savings (cash, for preserving principal; stocks, for protecting against inflation). You have pension/annuity, in the form of Social Security. So really, it hardly matters what you do with these funds. What a great situation to be in, right? GCS: You folks done good. IMHO take the payout of $1M over a non-inflation adjusted pension. At age 57 you should well remember the late 70’s and early 80’s. As a kid I had neighbors who had recently retired on what they thought were “good” pensions back then, only to see the value of their dollars plummet on their low adjusting or fixed pension value. I recall hearing the whispers of how hard it was for them to cope with their serious decrease in buying power and the anger they felt having their late life plans ruined. We have had many years of low inflation and have gotten forgetful. Even if the market takes a hard correction the year you retire, you have enough cash to weather 3-5 years until your 401K and the IRA you put the million in recover. Whatever spread of assets you choose to go with, given your expenses stay in the $80K range you will likely be well dead before you run out. A 3% withdrawal of the $2.5M you will have available (I’m assuming the 1.4 goes to 1.5M over the next year before you retire) is $75K, nearly your $80K range. If you want to believe the trinity study, that pretty much guarantees you are golden for 30 plus years ignoring sale of the vacation home, metals, stock, cash on hand today, and anything you get from SS in the future. Honestly, I doubt there is a projection out there given your expenses and current position that will not give you next to 100% chance of never outliving your money whether you go with the pension or the buyout. I will recommend that if you chose not to go to an advisor, keeping it simple and just put the million in index funds at a split, like 60/40 equities to bonds, and plan now when you want to adjust it so you don’t have to think so much down the road. If you are concerned with respect to leaving your kids something you can probably bump up what you withdraw and put some into some form of account or vehicle for them, be it a trust, precious metals, investment account, whatever. If you die on the younger side, it won’t matter. If you die on the older side and because of illness or whatever you are chewing through your money, they still get a little something even if you go broke if that’s your wish. I would always take the lump sum. First, I don’t necessarily trust pensions in general. Second, I think you can do better in the market and then you can leave that money to your spouse, children, and organizations. To me that legacy aspect is important. Good luck! Looking at the numbers I’d take the sum lump because you don’t have COLA. You will also have more control when to pay taxes if rolled into an IRA. HOWEVER, numbers are not everything in life. Looking at the big picture, beyond the numbers, I’d take the $57/year because it will motivate you and your wife to live a longer life, if only to validate your decision. It is known that people who are motivated to live longer will do live longer. And living a longer live, my friend, is priceless.